I loved this pattern and the puff stitches. And the crab stitch/reverse single crochet edging is so simple but really provides a nice finish. 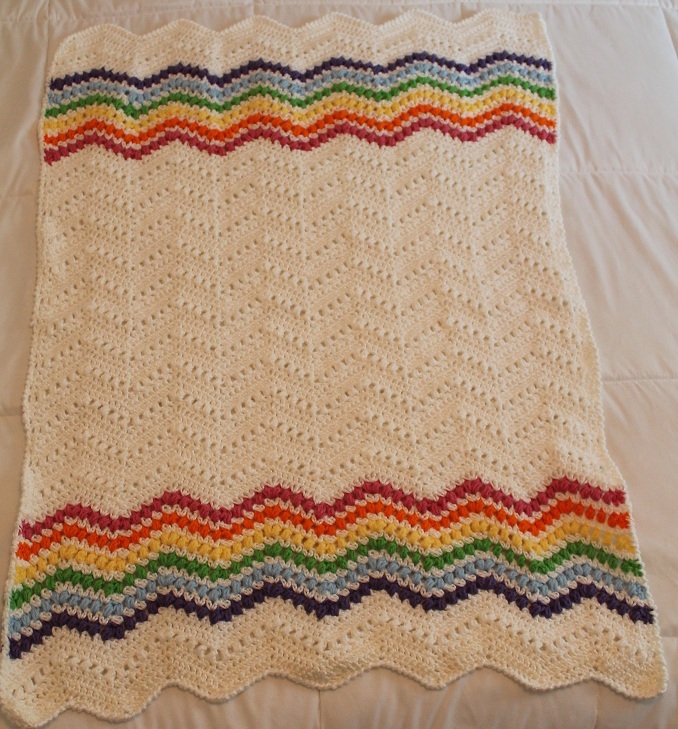 I used the super soft white yarn and brighter colors for the rainbow than the pattern called for. I've STILL got rainbow yarn left over, and I've made four rainbow-themed blankies with it so far.